This gate hook to bolt is a convenient and durable item designed for hanging gates to posts in outdoor contexts like gardens, parks or other exposed spaces. Coming with a welded washer and designed to withstand weather problems, this gate to hook bolt is an essential item in the supply cupboard of anyone involved in outdoor ironmongery. In terms of size, the item itself measures 300 millimetres from end to end. The product is designed to be compatible with pins sized 19 millimetres and posts sized 200 millimetres. 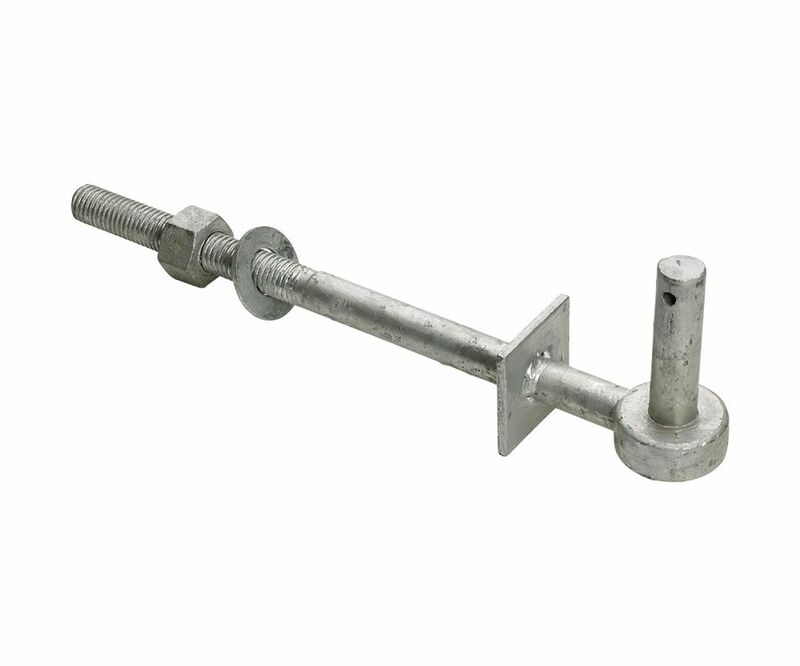 In addition, this gate hook comes with a galvanised finish for extra defence against problems like the weather. One of the most hard-wearing forms of finish on the market for gate hooks, this added layer of protection means that the item is highly resistant to many forms of bad weather such as heavy rain, falling snow and sleet, and strong wind.